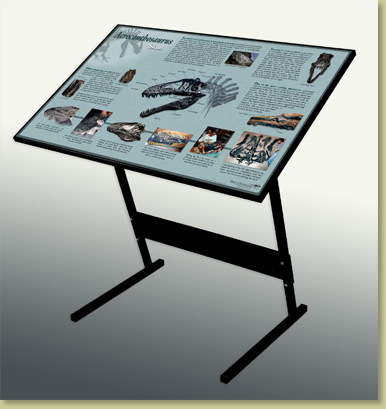 Display poster, with optional framing and stand, specifically designed to complement our Acrocanthosaurus atokensis fossil replica skeleton exhibits. It describes the skeleton and gives insight into the it's elements and injuries. 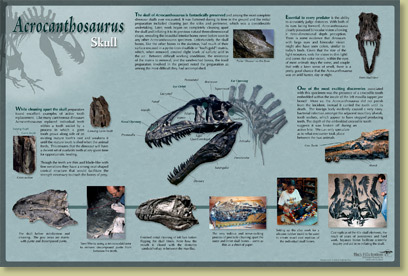 A companion poster, describing the Acrocanthosaurus's skeleton, makes a complete and informative skeleton exhibit.